Do you want a vegetable garden, but for many different reasons, you don’t think it is possible? 1. You have tried before, and the garden failed. 2. You were told your soil wasn’t good enough. 3. You don’t have enough time. 4. You have garden pests that destroy everything. 5. You have a bad back, and you can’t bend over to tend the garden. 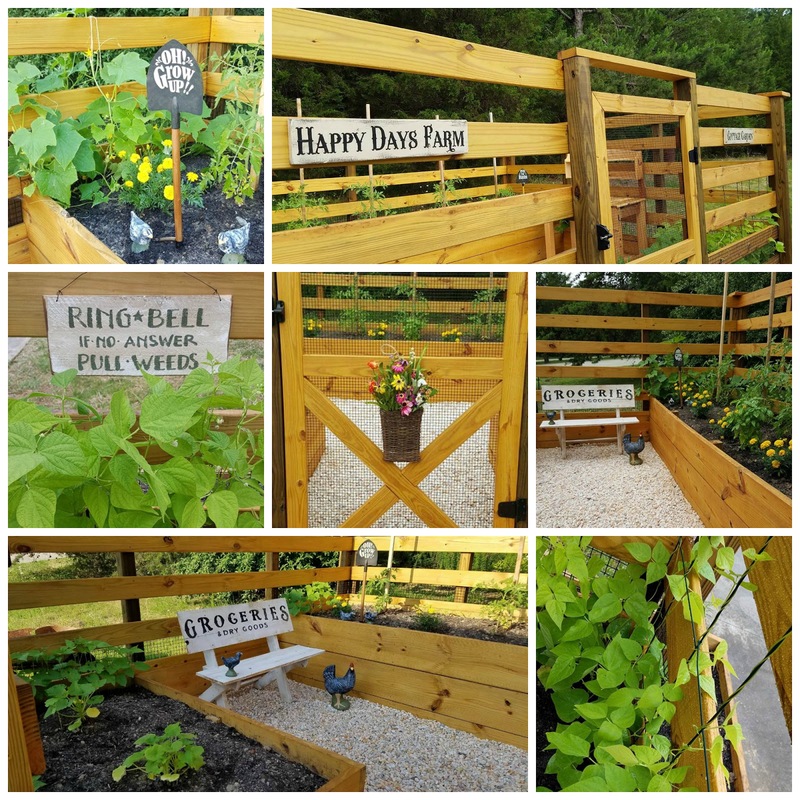 Did you know that all of these can be solved by building a raised garden? time with deer eating everything, and I loved the idea of controlling the soil completely, so a raised bed seemed like the perfect solution for us. When we built our raised bed garden, I wanted to make sure that it would accomplish all the things we mentioned above, and make this garden simple to maintain. As you can see. The beds are built up high enough so that we can actually tend the plants without bending over. When you have a raised bed, weeds are usually not as big of an issue as they are in a traditional garden. So, to combat the deer situation, we actually built walls around the entire garden, which are doubling as a place for our beans to grow up, and a place we will be able to use as supports for our sunflowers. Against the back wall, we have an entire row of sunflowers growing. On each end, we planted three cucumber plants. Six tomato plants are in the center section of the back bed, with marigold flowers in between each one. In the front sections, we have two zucchini plants and two squash plants. Finally, around the perimeter we have green string beans english peas. In the late fall, I plane to switch it out and put in a fall crop of lettuces. Around the outside perimeter of the garden, we have various herbs growing: dill, parsley, thyme, basil, and more. Another issue we face is Carolina clay. We were introduced to a product and got to use it a few weeks ago when we attended the Garden2Grow event at P. Allen Smith’s Moss Mountain Farm. 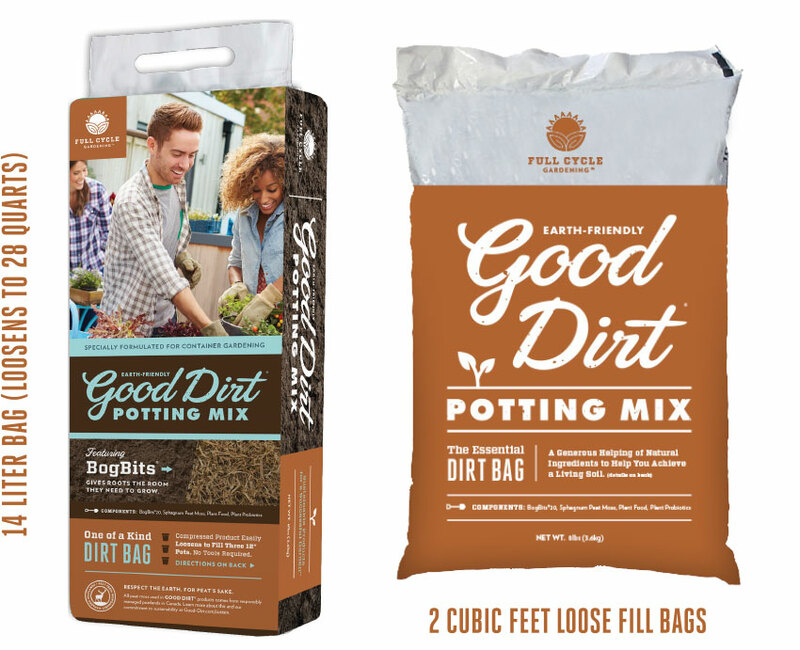 It is called ‘Good Dirt.’ This dirt is all-natural, and utilizes ‘bog-bits’ to make it drain wonderfully. A huge bag weighs a fraction of traditional gardening soil, but still fills the same container amount as the traditional bags. 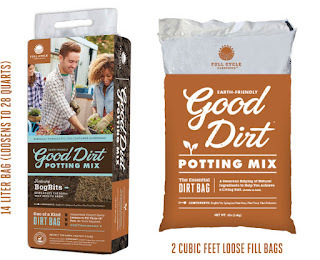 Once again, this product, along with a raised bed, would make an ideal set up for seniors who still love the idea of gardening, but may not be able to physically lift a 50 pound bag of soil. Finally, we needed a table set up so that we could manage our smaller containers and keep everything organized. 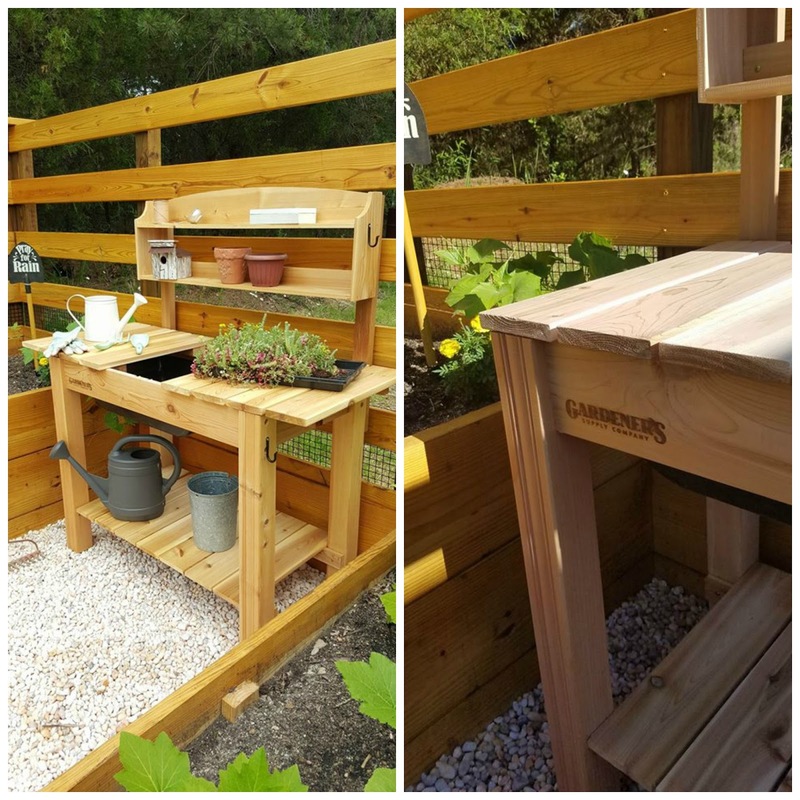 We had been eyeing this Potting Bench with sink from Gardener’s Supply for some time, and decided we had the perfect spot for it now. A potting bench is another great way to avoid having to get up and down off the ground constantly while gardening. This product is also much more than your average potting table, it is quality wood and super-easy to assemble. The table top can be solid for extra workspace, or you can use the sink option for water or soil. Plus, the extra shelf on the bottom and the top give lots of storage for pots, and other miscellaneous gardening items. If you want to start raised beds of your very own, here are a couple starter kits that we would recommend you trying out! 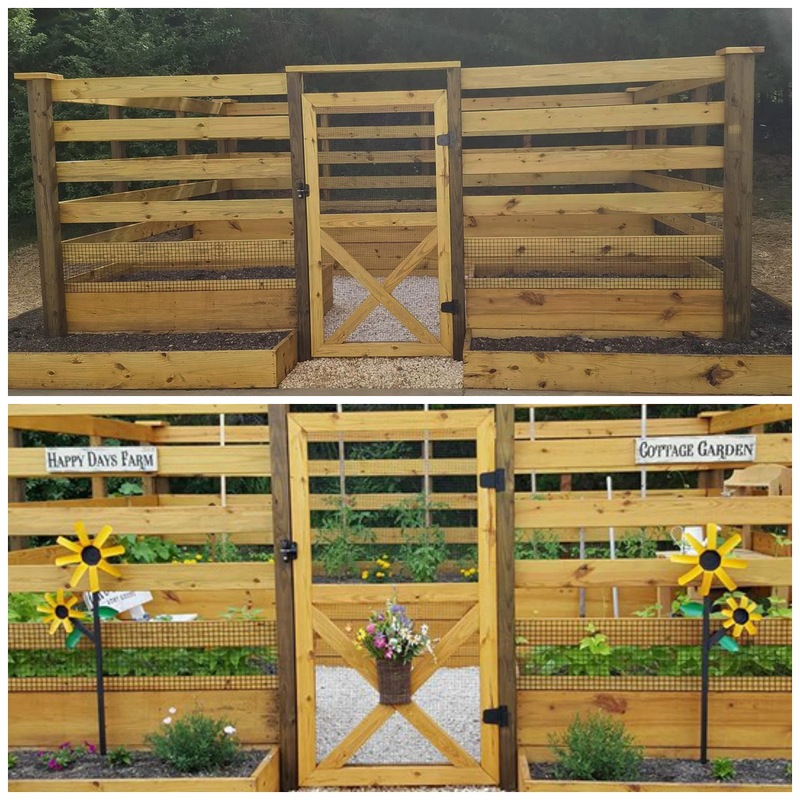 If you are interested in trying out a raised bed on a smaller scale, I recommend trying this beauty from Gardener’s Supply Company. It is made from cedar and is 2 feet x 8 feet, giving you ample room to grow so much on your back porch. Plus, it has a great pivoting trellis that allows you to grow vine plants if you like! The smaller option is a 4 foot x 4 foot cedar planter. Either of these options would be a great way to start, or get back into gardening and growing your own vegetables and herbs. If you are interested in your very own potting bench, here is the one we ordered.